Thus, under this new law, if the property owner does not post the property as a gun free zone and a permit holder is abducted or otherwise a crime victim on the property or even while commuting to or from it, the property owner would be immune from any liability even if there was an otherwise valid “inadequate security” claim to be made. On July 1, businesses that disarm concealed carry permit holders with gun-free signage will be liable for the safety of those permit holders. When the law, contained in SB 1736, takes effect, business owners who demand law-abiding citizens disarm themselves will assume liability for injuries they incur while on the “posted premises.” Moreover, the business owners will be liable for injuries a concealed permit holder incurs while retreating from the business to a vehicle–during an emergency–to retrieve the gun the business owner barred. 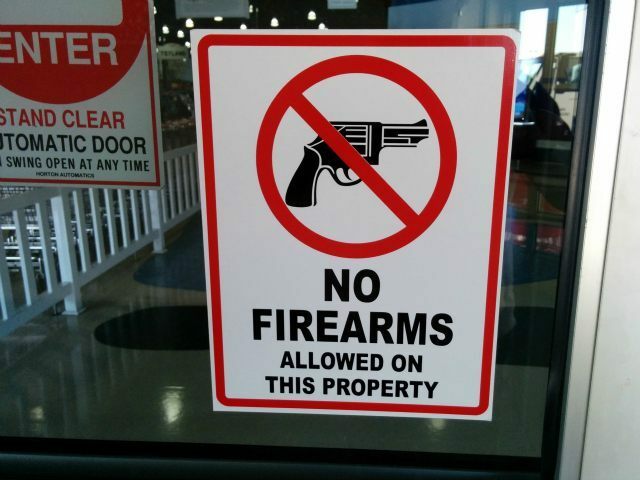 Present law authorizes persons in control of property to post a notice that prohibits firearms on the premises. This bill imposes a duty of care on any person who posts their property to prohibit firearms whereby such person will be responsible for the safety of any handgun carry permit holder while the permit holder is on the posted premises and traversing any area to and from the premises and the location where the permit holder’s firearm is stored. The duty of care created by this bill will extend to the conduct of other invitees, trespassers, employees of the person or entity, vicious animals, wild animals, and defensible man-made and natural hazards. SB 1736 passed the Senate by a vote of 26 to 4 on March 16. It passed the House by a vote of 77 to 13 on April 18. Governor Bill Haslam (R) signed SB 1736 on April 27. I can see that side of it, Algernonpj, but consider the positive result: no more armed robberies.